There’s a ton we don’t know about the matter blasted into space by the Sun—that’s why scientists have sent the new Parker Solar Probe to observe the star up close. This new research offers a preview of the kinds of things that Parker might see, providing a “more comprehensive study of solar wind formation,” according to the paper published in the Journal of Geophysical Research. 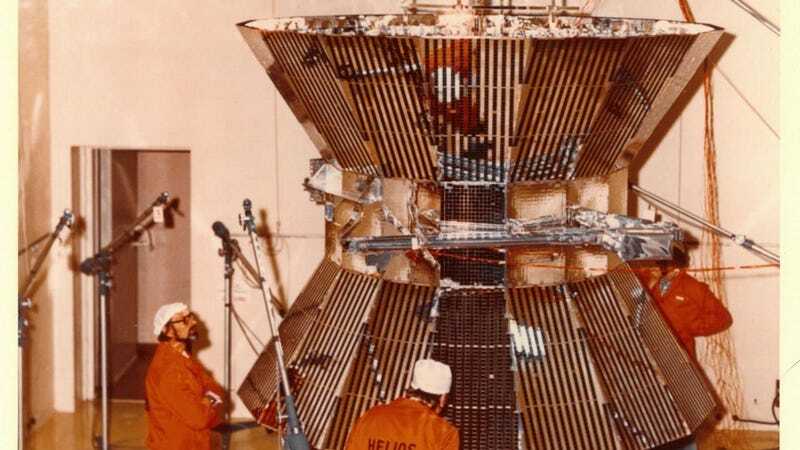 NASA and the German Test and Research Institute for Aviation and Space Flight (today called the German Aerospace Center or DLR), launched the Helios probes in 1974 and 1976 in order to understand the particles emitted by the Sun. Much of the work behind the newest paper involved figuring out and cleaning up the decades-old data, going as far as reading the German instruction manual in order to understand the instruments, according to a NASA press release. The hard work paid off, revealing chains of these blobs and potentially pinpointing locations on the Sun where they could have emerged.